Hey everyone, happy Thursday! Today I have a little Born Pretty Store water decal post to share with y'all. It's been a while since I featured anything from the store but don't worry, I got loads of fun water decal nail art looks coming your way! 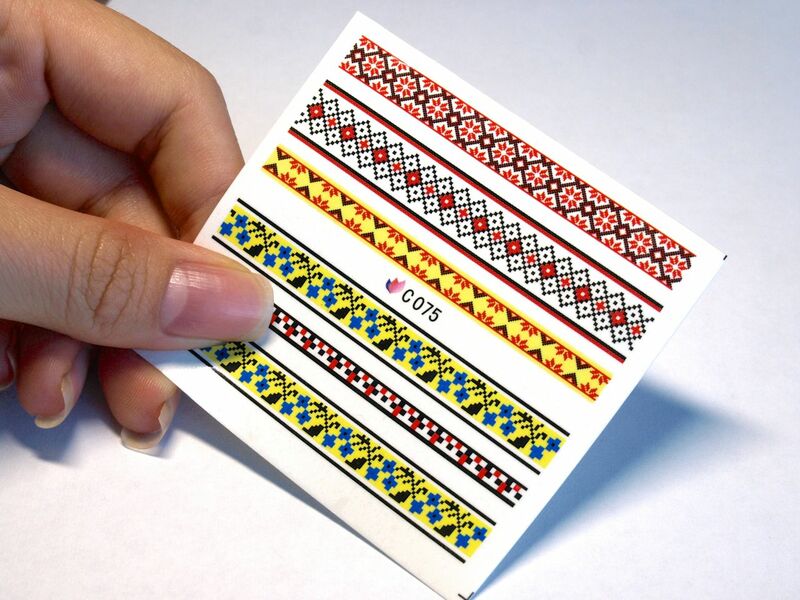 The cross-stitching patterned water decals ($1.99) sheet comes with various homey boho designs you can pair with various base colors. For my design I mixed and matched several of the designs for a more eclectic look. The base color I used is Revlon's' new ColorStay Gel Envy Longwear Nail Enamel in "Long Shot". 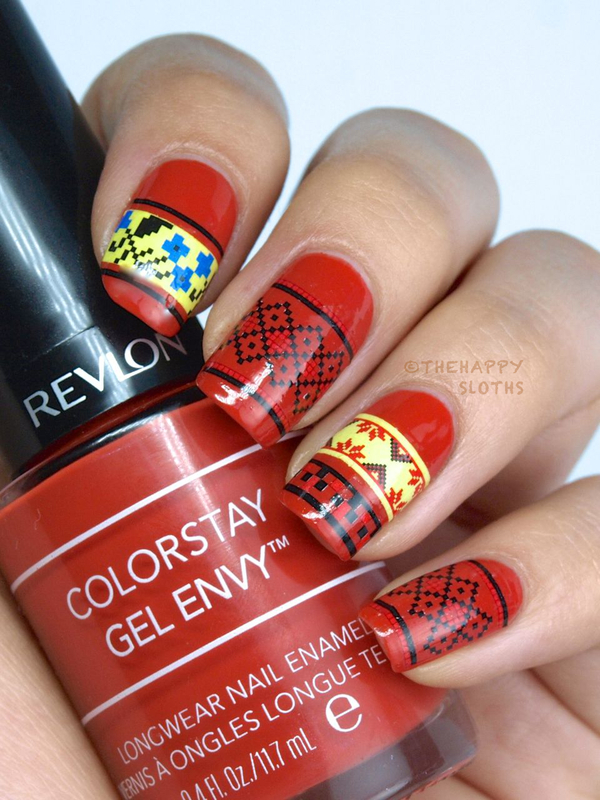 The water decals are super to apply as per usual (check out my tutorial on how to apply water decals here) and I sealed in the design with the new Revlon ColorStay Gel Envy Diamond Top Coat. 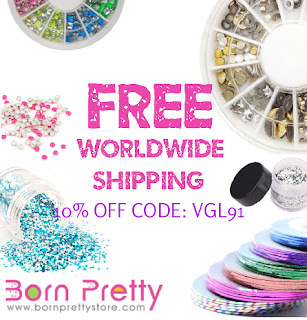 To check out these and other awesome nail art supplies click on the banner below, use the code VGL91 to get 10% off of your purchase. 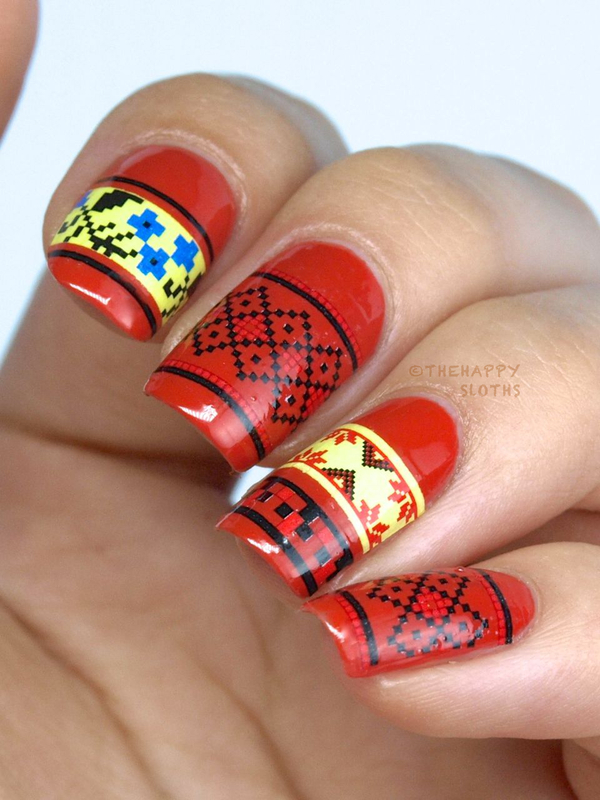 So what do you think of this cross-stitching inspired manicure? Chic or granny? Let me know in the comments below, thanks for dropping by!